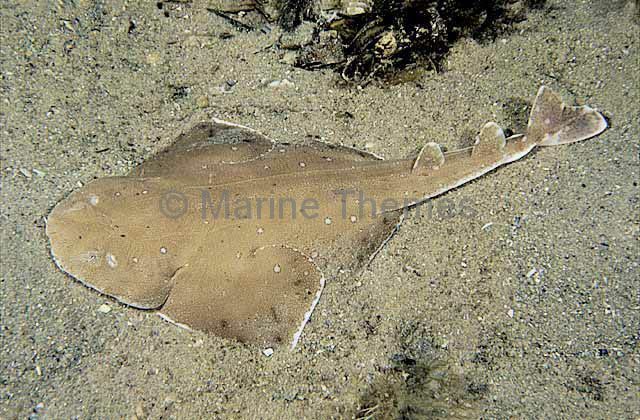 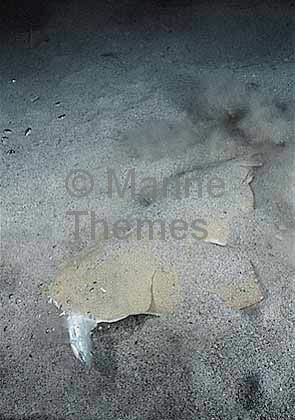 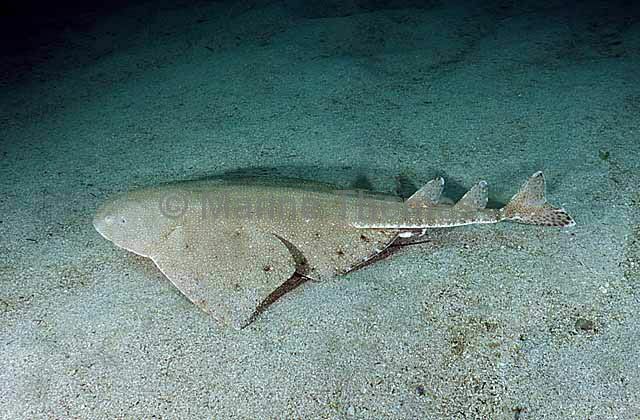 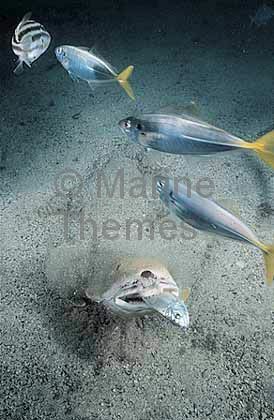 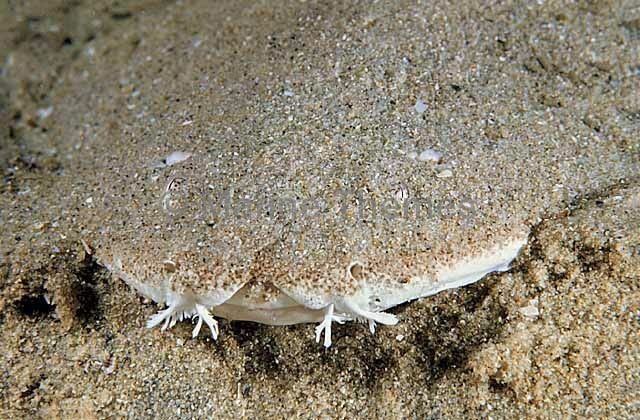 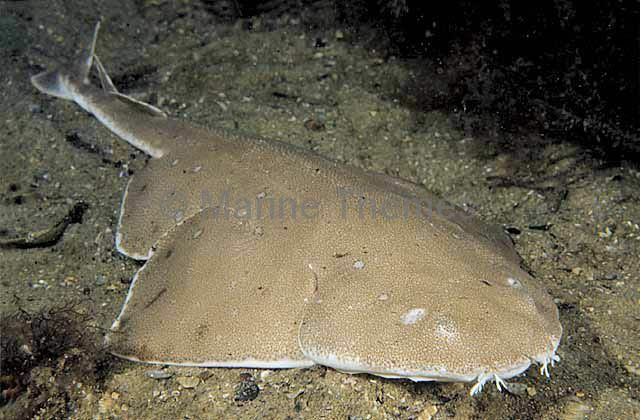 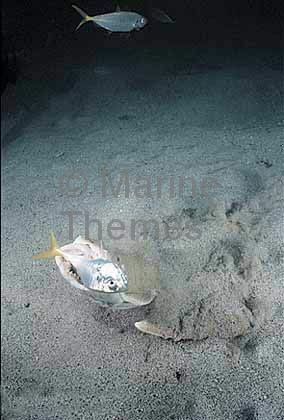 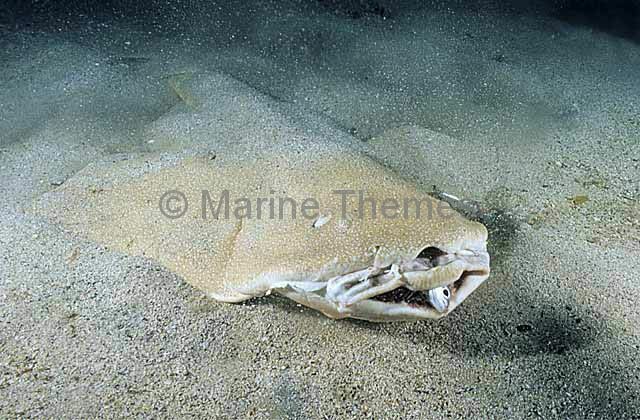 Australian Angel Shark (Squatina australis) Buries itself in sand and ambushes passing prey. 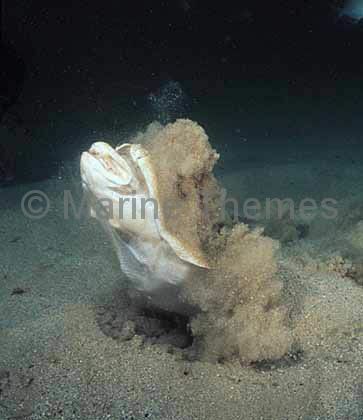 Australian Angel Shark (Squatina australis) Buries itself in sand and ambushes passing prey. 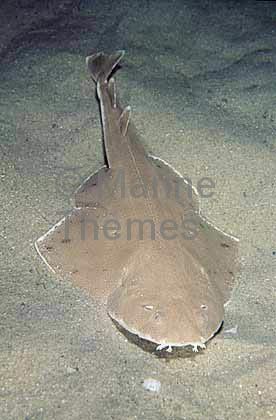 Spiricles, eyes and nasal barbels detail. 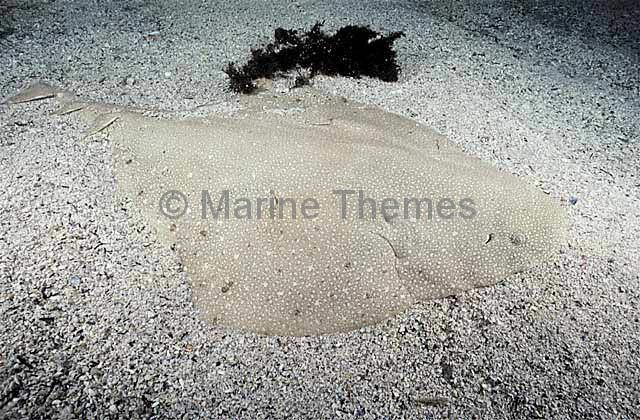 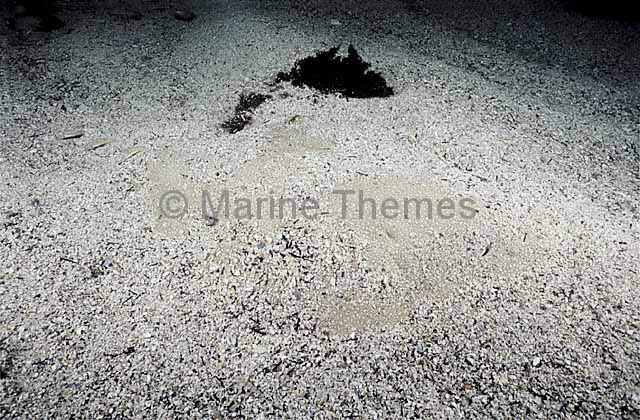 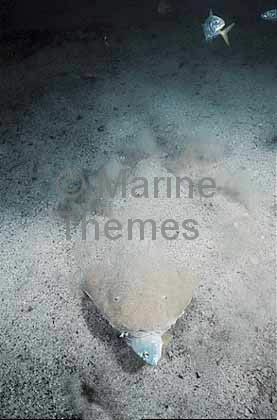 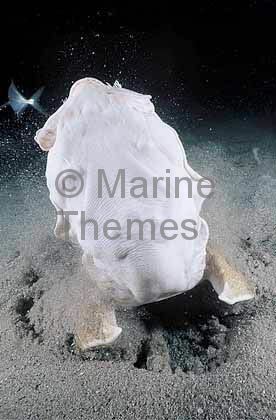 Australian Angel Shark (Squatina australis) Buried in sand awaiting prey. 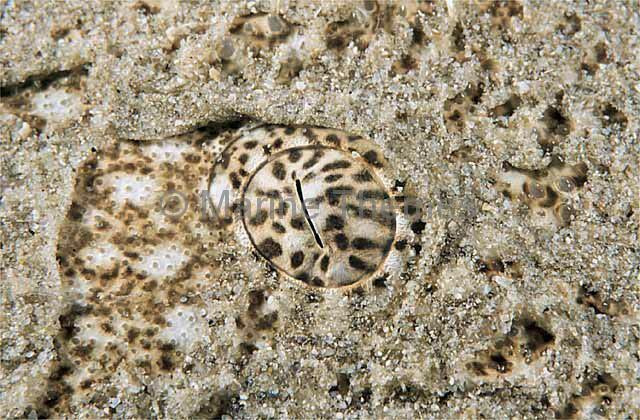 Camauflage. 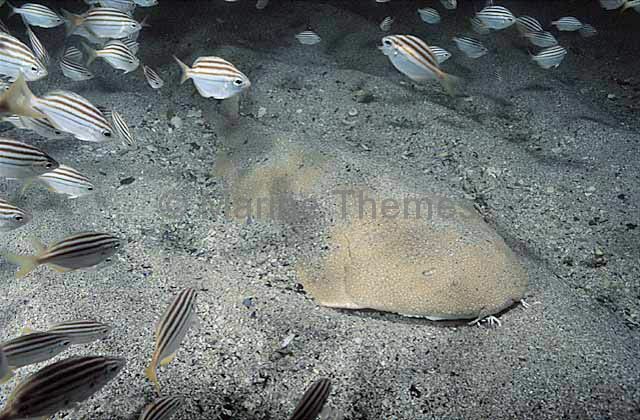 Australian Angel Shark (Squatina australis) Uses camauflage to ambush prey. 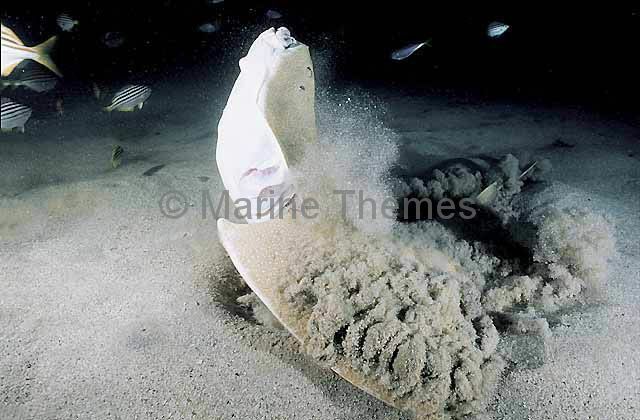 Australian Angel Shark (Squatina australis) lunging from sand to catch schooling fish. 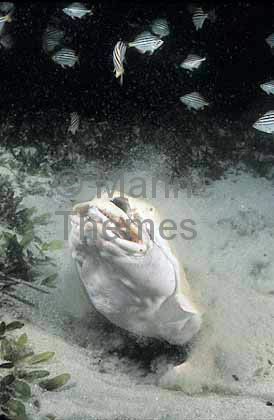 Australian Angel Shark (Squatina australis) feeding on schooling fish. 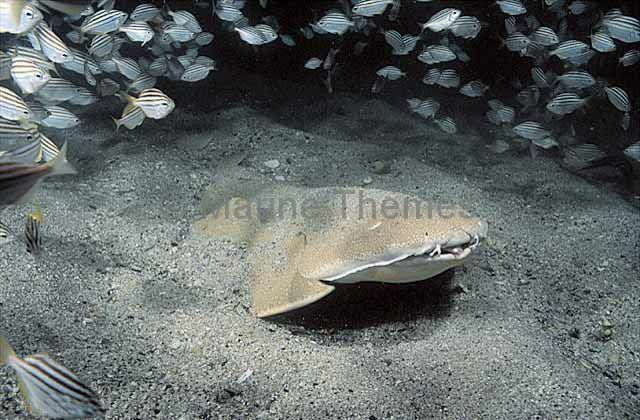 Australian Angel Shark (Squatina australis) with schooling fish. 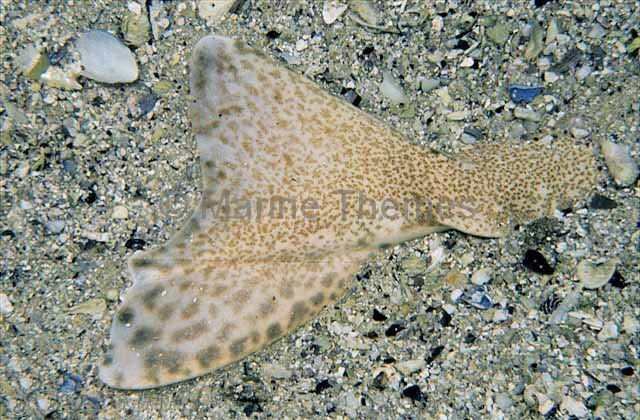 Tail fin of Australian Angel Shark (Squatina australis) Species identifying colour pattern detail on lower caudal fin.